There seems to be no stopping of fake bomb threats directed at US airlines: two passenger jets landing in Seattle, Washington were evacuated and searched for explosives, while another flight was diverted to Dallas, Texas for similar safety procedures. A JetBlue flight from Long Beach, California, and a regional SkyWest jet from Phoenix were both isolated and searched for explosives by security teams with dogs at Seattle-Tacoma International Airport on Sunday. 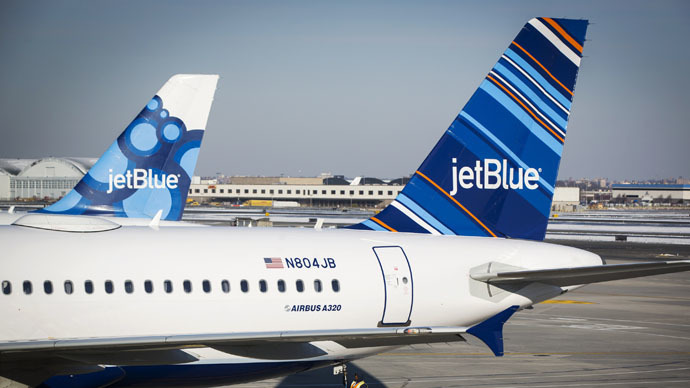 Passengers of JetBlue flight 1006 reportedly had to exit the plane, which had been sent to a far end of the airfield, using portable stairs, while their luggage was examined by detection dogs. The evacuation lasted for about 45 minutes. Meanwhile, Delta/SkyWest flight 4741 from Phoenix was also detained at the same airport. The pilot said that three bomb threats were received, according to local media. Jenna Luthman, an executive producer at Northwest Cable News described the threats as “low credibility,” adding that it was unusual to get three of them at once. Following the search, both planes were “cleared of security concerns” and the people were eventually taken to the terminal by bus. 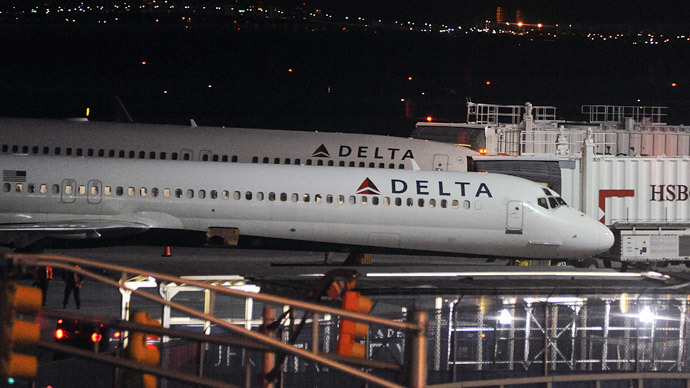 The third plane, Delta Air Lines flight 1061, flying from Los Angeles to Orlando, did not reach its destination and had to be diverted to Dallas/Fort Worth International Airport after multiple passengers reported a bomb threat made in connection with the flight. The people were similarly evacuated and questioned and the plane inspected. It was eventually also given the all-clear by the authorities. The threats come just a day after two flights were escorted by fighter jets and then evacuated and searched for explosives in an Atlanta airport due to bomb threats on Twitter which authorities had deemed “credible”. While the connection was not officially acknowledged by officials, threats to both Delta and Southwest Airlines were apparently made via Twitter by user @kingZortic, who then bragged on his page that he was “untouchable” by the police even posting an address at which he claimed he could be found.